Connect a Square Reader and complete a credit card transaction. If you have been working with a virtual device, you will need to deploy the sample app to a physical device and authorize Reader SDK with a new mobile authorization code before continuing. If you have never taken card payments before, activate your account for credit card payments. You will see a big green "Activate" button if you still need to activate your account. If you do not see an the button, you are already activated. If you have a Contactless + Chip Reader, click "Settings" in the sample app. Select "Reader Settings" and follow the prompts. If you run into trouble connecting the Reader, see Set Up the Square Reader for Contactless and Chip for assistance. If you have a Magstripe Reader, plug it into your mobile device and grant the Reader microphone permissions if prompted. Tap the "Charge $2.00" button to complete a credit card transaction. View the transaction details in Square Dashboard. We recommend refunding the transaction while you are in the dashboard. Congratulations! 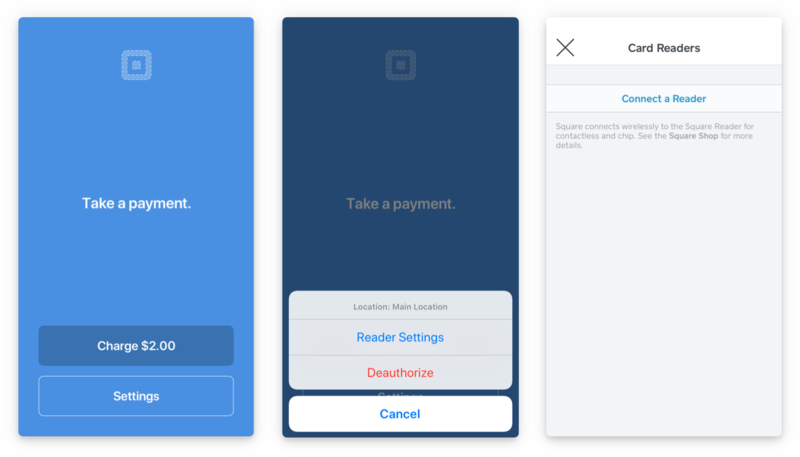 You just completed a credit card transaction with a Square Reader and Reader SDK. Follow a link below to start building custom solutions with Reader SDK.